Your monitor needs elevated. 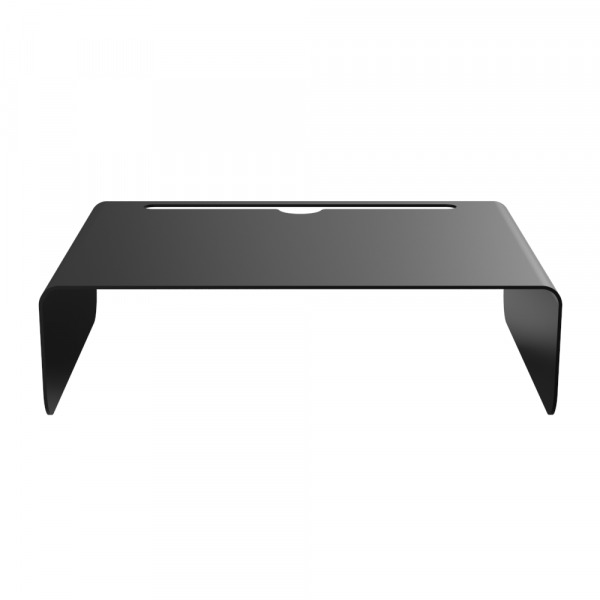 The Rise | Metal Monitor Stand helps free up and optimize valuable desktop space. By raising your screen with a monitor stand or monitor mount, you adjust your workspace to the correct ergonomic height. A clean, organized desk results in focused work and an increase in productivity. The 15-inch-wide base allows you to place a laptop, keyboard, mouse, files, or other everyday office essentials below the monitor stand. The monitor riser also features a cable management slot to fit and organize any-and-all cords. 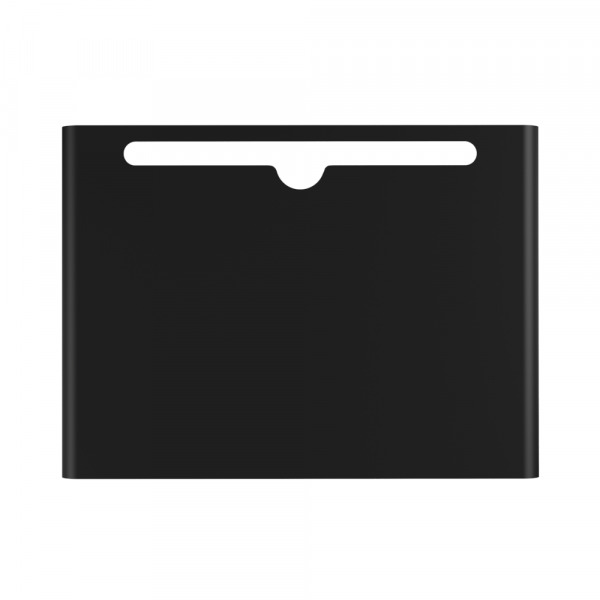 The sleek, rounded design looks great in any application, allowing you to not only hold your monitor but also a laptop, printer, desktop computer, TV, gaming console, or other device. 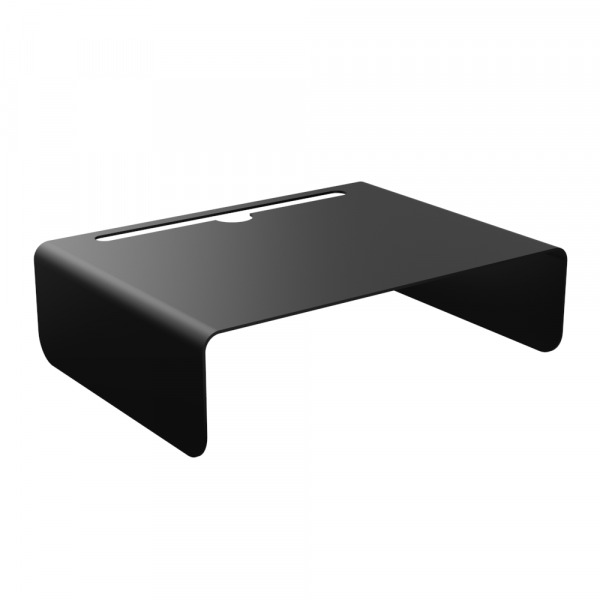 The Rise Monitor Stand is the perfect addition to any home desk, office, or workspace. 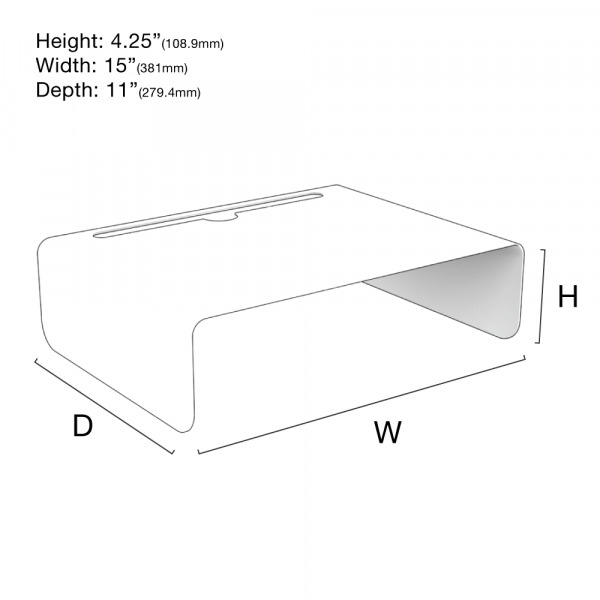 To learn more about the Rise Monitor Stand and all of it's Features and Specifications, check out the other tabs. If you have any questions regarding this product, please feel free to call, chat, or email us about your inquiry. We are happy to provide support. Raises your monitor to a comfortable, ergonomic viewing angle to help optimize your work and productivity.  Sturdy, solid, steel construction provides maximum support for all sorts of applications. 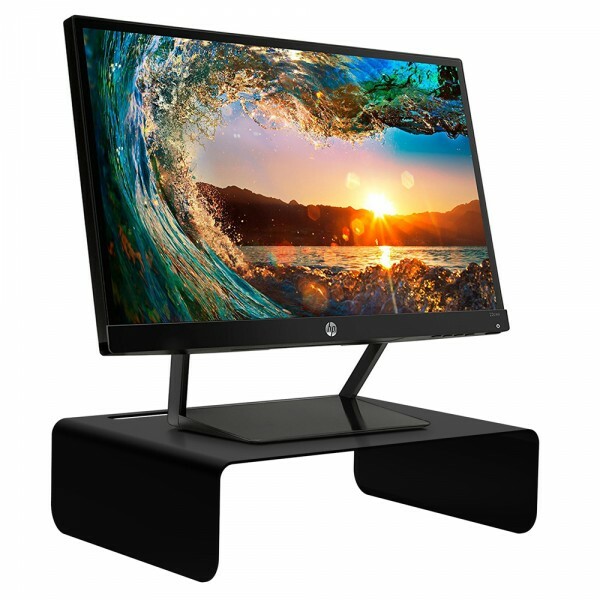 This monitor stand can be used not only with monitors and laptops, but also printers, desktop computers, TVs, video game consoles, and more. Simple, sleek, modern design features a black powder coat finish, rounded contours, and plenty of room for organizational purposes, making this computer monitor stand a perfect addition to any home or office desk. Cable management slot on the backside of the monitor stand allows you to organize all of your cords efficiently. Note: Other devices are compatible with this product. If your device type is not listed below and you would like to know if it is compatible, please chat us for quick support. 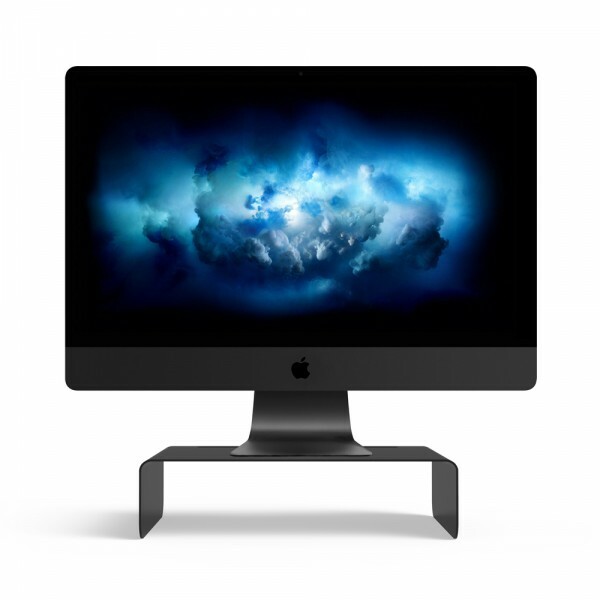 Computer Monitors, Laptops, Printers, Desktop Computers, TVs, Video Game Consoles, and more. For more information about the Rise Monitor Stand, please call, chat, or email us about your inquiry.